and convenient pediatric anesthesia care to children in the dental office. Dr. Alvarez received his medical degree from the University Of South Florida College Of Medicine and completed residencies in Pediatric Medicine and Anesthesiology at Naval Regional Medical Center in Virginia and Pediatric Anesthesiology at the Children‘s Hospital National Medical Center in Washington DC. Dr. Alvarez served as Chief of Anesthesiology and Clinical Practice Director at All Children’s Hospital/Johns Hopkins Medicine facility in Saint Petersburg before joining Pediatric Dental Anesthesia Associates. Dr. Kathryn Bietenholz is a pediatric anesthesiologist; a medical doctor who has completed specialty training in anesthesiology and extra training in anesthesia for infants and children. 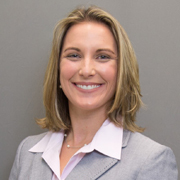 Dr. Kathryn Bietenholz received her medical degree from the University in 2006 and completed a one year surgical internship at the Mayo Clinic in 2007. She completed a 3-year residency in Anesthesia at the Mayo Clinic in Jacksonville in 2010 with extra training in Pediatric Anesthesia at The Nemours Children’s Clinic. Dr. Garcia is a Board Certified Pediatric Anesthesiologist, a medical doctor who received advanced training in providing sedation and anesthesia for infants and children. His medical degree was completed at the University of Rochester, in New York. Anesthesia training was completed over three years at the National Naval Medical Center in Bethesda, Maryland and included advanced pediatric training at Children’s National Medical Center in Washington D.C. He has spent over twenty years providing sedation and anesthesia for infants and children, including serving as Chief, Division of Anesthesia at All Children’s Hospital, a branch of Johns Hopkins Medicine. His goal: treat everyone’s child the way he would want his children treated. Dr. DeMars received his medical degree from the University of Minnesota in Minneapolis in 1981 and completed residencies in Pediatrics and Anesthesiology at Naval Regional Medical Center in Virginia. He completed his fellowships in Pediatric Anesthesia and Pediatric Critical Care at Vancouver Children’s Hospital in Vancouver, British Columbia and Children’s Hospital of the Kings Daughters in Norfolk, Virginia. 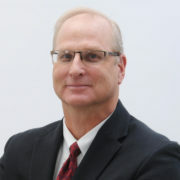 Dr. DeMars practiced at Children’s Hospital San Diego for over 20 years and directed pediatric resident education for Naval Hospital San Diego and University of California San Diego Residencies in Anesthesia programs where Dr. DeMars had a teaching appointment as Assistant Professor of Anesthesiology. Dr. DeMars developed a world recognized Center of Excellence in Pediatric Pain Management at San Diego Children’s, served as Chair, Department of Pediatric Anesthesia at Shriners Hospital for Children in Spokane Washington and has recently served on staff at St. Jude’s Research Hospital for Children in Memphis, Tennessee. He comes to Pediatric Dental Anesthesia Associates after more than 30 years of experience providing pediatric anesthesia, as well as teaching pediatric anesthesia for infants and children of all ages. 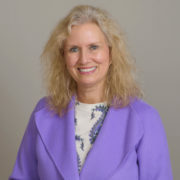 Dr. Kesterson received her medical degree at the Medical College of Georgia in 1986. She completed her Anesthesiology residency at Emory University Affiliated Hospitals in 1990 where she received advanced training in Pediatric Anesthesiology. She was Board Certified in Anesthesiology in 1991 and has spent over 25 years providing anesthesia in both the hospital and outpatient settings. Her practice has included working at Children’s Hospital of San Diego and St. Jude’s Children’s Research Hospital. 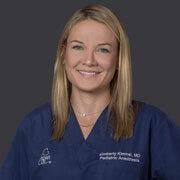 Dr.Kimmel received her medical degree from the University of Miami Miller School of Medicine in Miami, FL in 2007. She then went on to complete a one year surgical internship at the University of California San Francisco, East Bay in Oakland, CA in 2008. She completed her anesthesiology residency at the University of Miami Jackson Memorial Hospital in 2011. 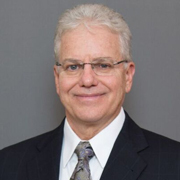 Dr.Kimmel was certified by the American Board of Anesthesiology in 2012 and subsequently completed a pediatric anesthesia fellowship at Jackson Memorial Hospital and Miami Children’s Hospital in Miami, FL in 2012. Prior to joining PDAA, Dr.Kimmel worked as an Attending Pediatric Anesthesiologist at Miami Children’s Hospital from 2012 until 2017. Dr. Maryak received her medical degree from Mercer University School of Medicine in Macon, GA in 2009. She completed her internship and residency in Anesthesiology at the Mayo Clinic in Jacksonville, FL in 2013 where she served as chief resident. Dr. Maryak was certified by the American Board of Anesthesiology in 2014 and completed her Pediatric Anesthesia Fellowship at Wolfson Children’s Hospital in Jacksonville, FL in 2015. She lives in Jacksonville, FL with her husband and 2 beautiful daughters. Dr. 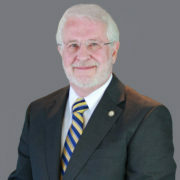 Pate received his medical degree from the University Of South Carolina School Of Medicine in 1986. After completing an internship at Johns Hopkins (in Baltimore) he completed an Anesthesiology Residency at George Washington University, including Pediatric Anesthesia training at the National Children’s Hospital in Washington, DC. He then completed his postgraduate training in Obstetrical Anesthesia at the George Washington University Medical Center in Washington D.C. He is board certified in Anesthesiology by the American Board of Anesthesiology and he is a diplomat of the National Board of Medical Examiners. Dr. Plagenhoef received her medical degree from the University of Texas Health Science Center At Houston School of Medicine in 1989. 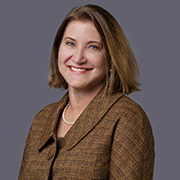 She completed her residency in Anesthesiology at the University of Texas Health Science Center at San Antonio in 1993 with advanced training in pediatric anesthesiology at Driscoll Children’s Hospital in Corpus Christi, Texas.She became Board Certified in Anesthesiology in 1994 and subspecialty Board Certified in Pediatric Anesthesiology in 2013. She has taken care of thousands of children in private practice for over 25 years. Dr. Plagenhoef is passionate about patient safety and has been heavily involved in this area at the state and national levels. 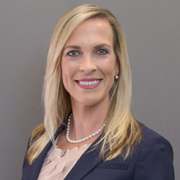 She recently completed her term in 2017 as President of the Texas Society of Anesthesiologists during which she advocated strongly for the safety of pediatric patents receiving dental procedures. She is pleased to be joining the physicians of Pediatric Dental Anesthesia Associates who share this passion. 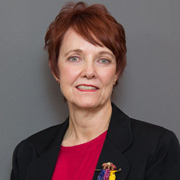 Dr. Linda Jo Rice received her primary Board Certification in Anesthesiology in 1980 and most recently earned the newly created Board Certification in Pediatric Anesthesiology in 2014. She received her medical degree from the University of Kentucky and completed her anesthesiology residency at Naval Hospital Portsmouth, Virginia and her Pediatric Anesthesia fellowship at Children’s National Medical Center. She has been a professor at three universities, and is an internationally recognized lecturer in pediatric anesthesia. Dr. Rice has been voted one of the Best Doctors in America every year since 1993, when she was first nominated. She recently completed 25 years as an examiner for the American Board of Anesthesiology. Prior to joining Pediatric Dental Anesthesia Associates, Dr. Rice practiced pediatric anesthesiology at All Children’s Hospital in St Petersburg, Florida for 20 years. Dr. Brad Stone is a Board Certified Pediatric Anesthesiologist, a medical doctor providing sedation and anesthesia for infants and children. 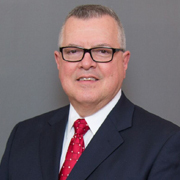 Dr. Stone received his undergraduate degree from Northwestern University in 1979 and his medical degree from the Medical College of Ohio (University of Toledo) in 1982. He completed residency in anesthesia at the University of Florida in 1985, where he received advanced training in pediatric anesthesia. He was initially certified by the American Board of Anesthesiology in 1987 and has twice recertified. He was certified in pediatric anesthesiology in 2015. Dr. Stone has been a long time ambulatory surgery center director (16 years) with extensive experience in the care of children. Dr. Stone has been involved dental office dental office anesthesia since 2003. In addition, he was the director of anesthesia education for the MAHEC dental general practice residency. Dr. Stone has published several articles on techniques and safety in anesthesia. He has also published a book chapter on intravenous access. 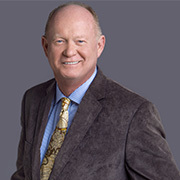 Prior to joining PDAA Dr. Stone practiced in Asheville, NC for over 25 years. Dr. Watson received his medical degree from Indiana University School of Medicine in 1980. He completed his residency in Anesthesia at Balboa Naval Hospital in San Diego, CA and a fellowship in Critical Care Medicine at UC Irvine, CA. 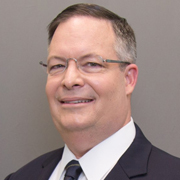 Dr. Watson was an Assistant Professor of Anesthesia at UC Irvine from 1992-1995 and the Vice-Chair of Anesthesia and Associate Professor of Anesthesia at the University of Missouri from 1995-2006. 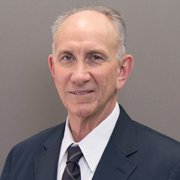 Dr. Watson has been in private practice in Columbia, TN since 2006. Dr. Watson is board certified in Anesthesia and Critical Care Medicine and earned recertification in Anesthesia in 2009. He is a diplomat of the American Board of Medical Specialties.